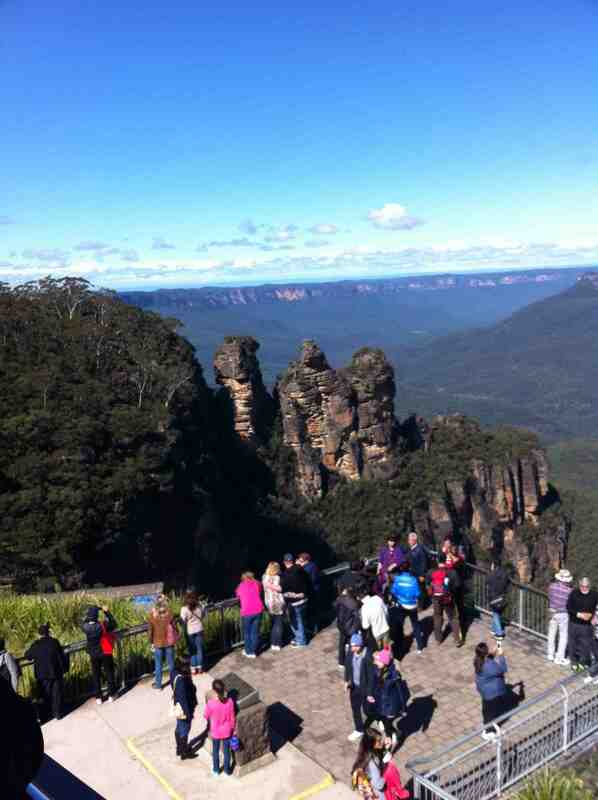 An hour and a half west from Sydney are the Blue Mountains. 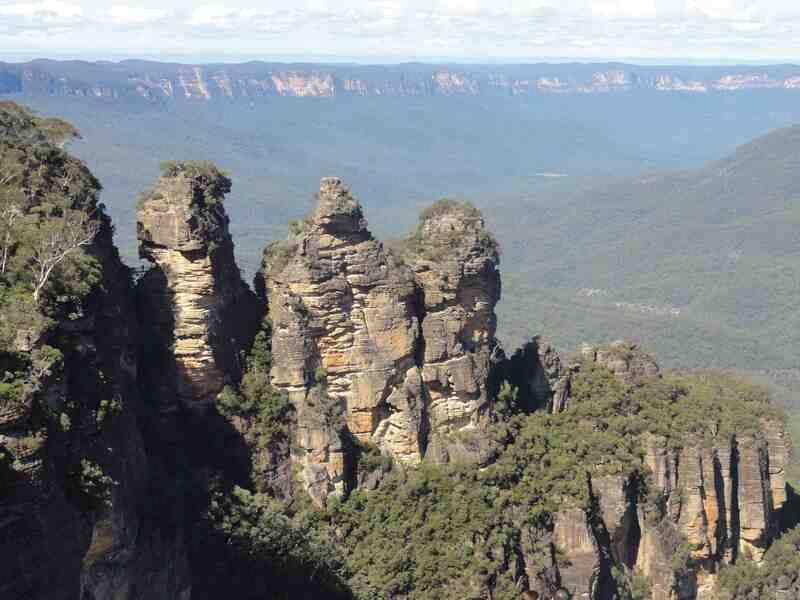 In 2000 the Greater Blue Mountains became listed as a UNESCO World Heritage Site. When you stand at one of the many scenic lookouts in the area you can see why. 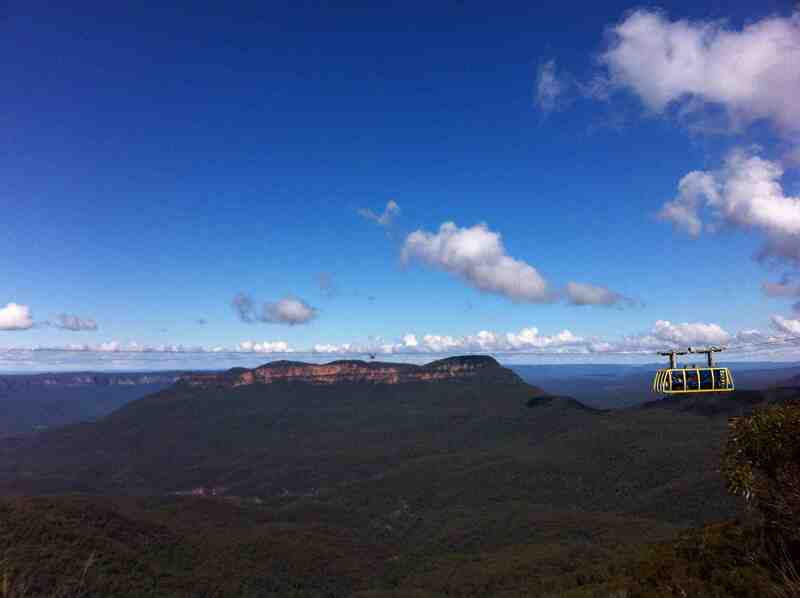 And what makes the Blue Mountains blue? It’s the masses of Eucalyptus trees. 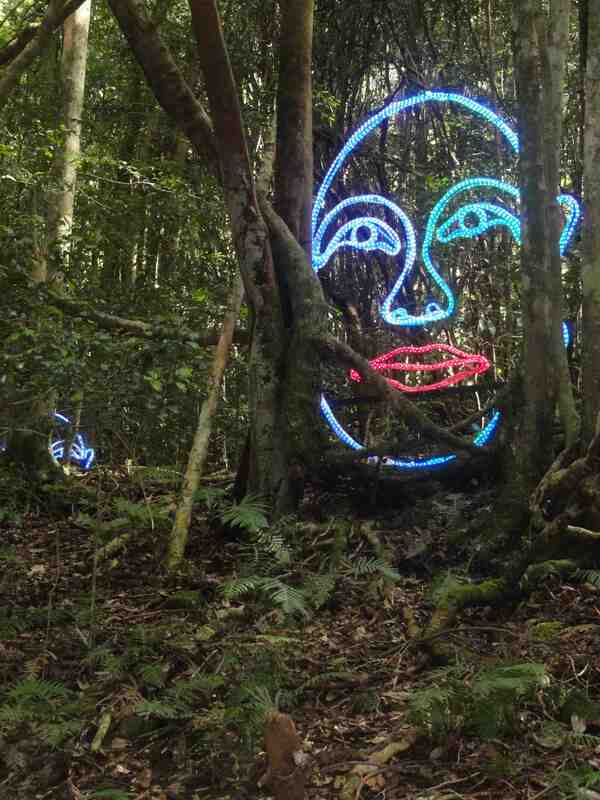 Dotted along the northern ridge of the Blue Mountains’ Jamison Valley are a collection of quirky villages, including Katoomba where a few of the main attractions are located. Our family ticket to Scenic World cost $88 (2 adults + 2 children up to 13 years) and covered the Scenic Railway, Skyway and Cableway. The Scenic Railway is great fun. It is the steepest passenger railway in the world. The ride only lasts a matter of minutes. 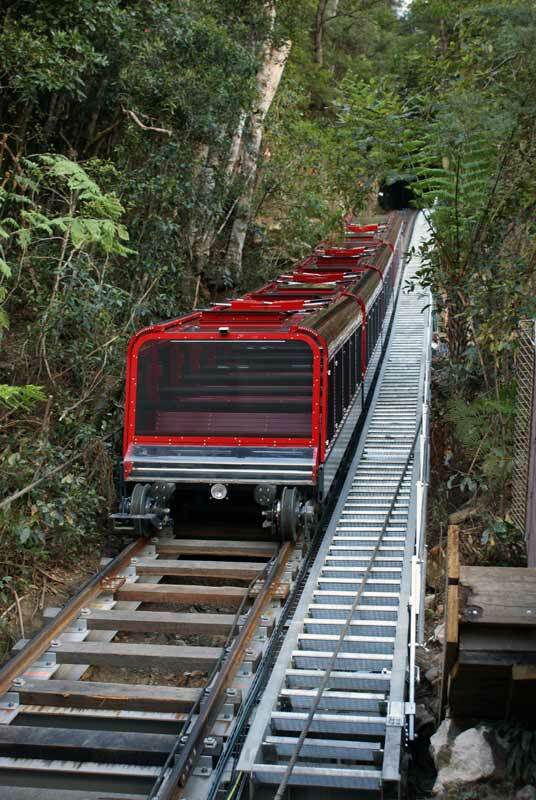 The Scenic Railway brings you to the floor of the Jamison Valley. The boardwalk takes you through the rainforest and there are a choice of walks with the longest taking about 30 minutes. 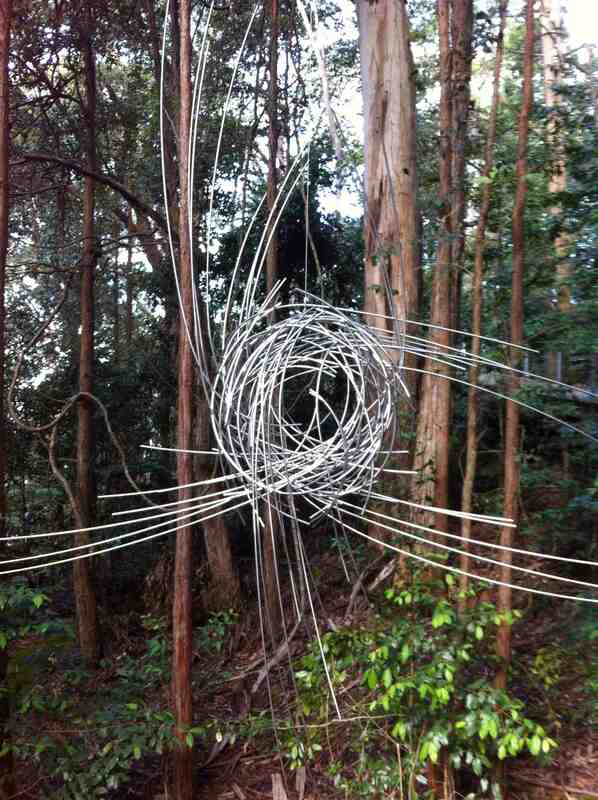 When we visited there was the fabulous Sculpture at Scenic World exhibition with sculptures in the rainforest. 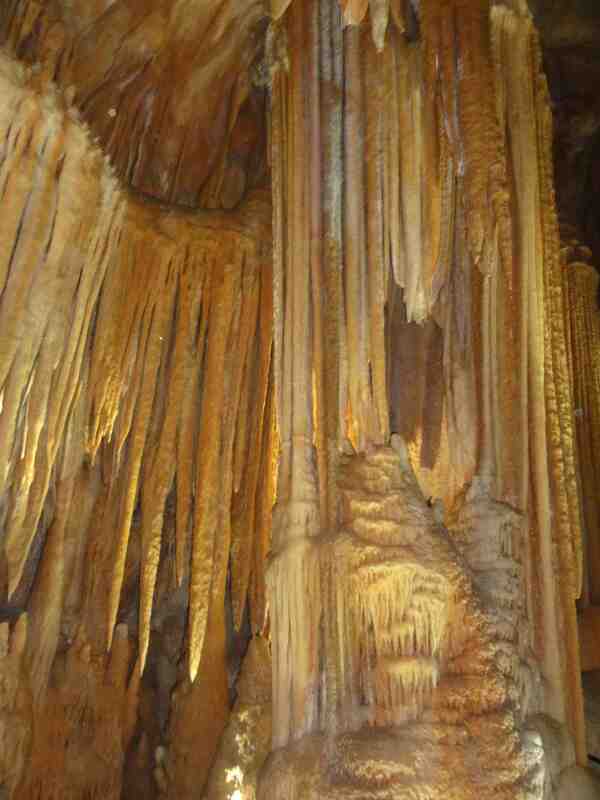 We set aside half a day to visit the incredible Jenolan Caves. As we were visiting in the middle of the school holidays we pre-booked our tickets. The drive from Katoomba took an hour and a half. The road gets smaller, steeper and windier as you drive further down the valley. Finally the Grand Arch appears, then the lovely vision of the hundred year old Jenolan Caves House hotel and you have arrived. We booked tours of the Lucas Cave and the Orient Cave. Lucas Cave is one of the more strenuous caves to visit. The stunning Orient Cave was much smaller and easier to navigate. 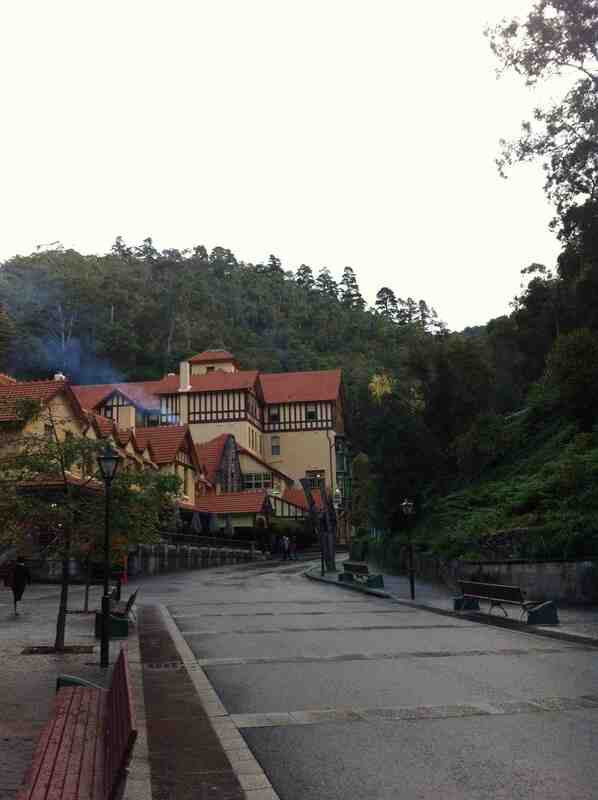 We stayed in the charming village of Leura. 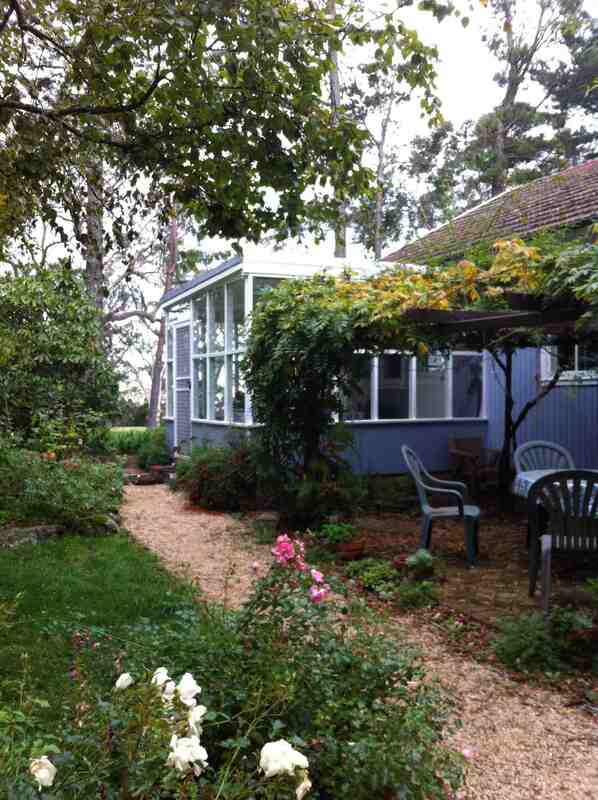 The cottage we rented was adorable. 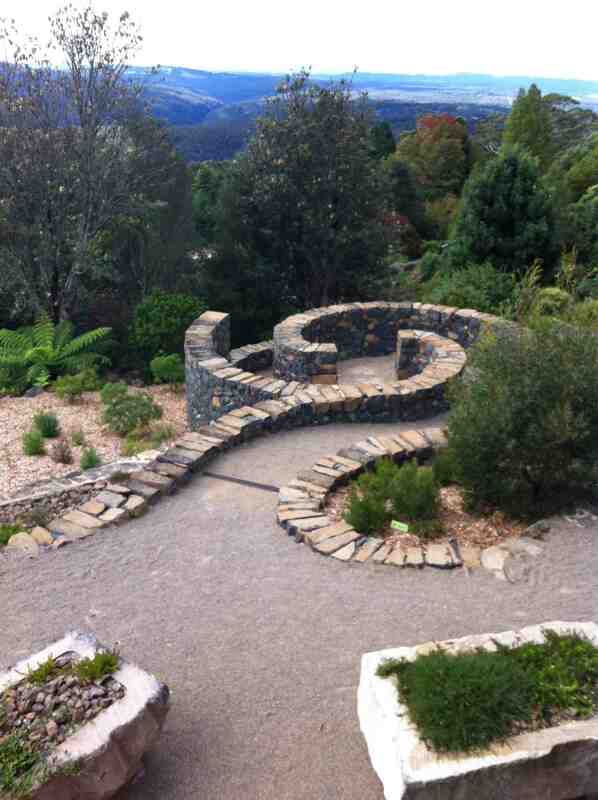 We rented through Blue Mountains Getaways, who were very efficient and had a good range of properties on their website. Leura Mall has some fantastic boutiques and next visit I will be saving more time for mooching around the shops. We ate at the funky Leura Garage restaurant, where they have a complicated “wait list” system rather than reservations. Be sure to call and get on that wait list, particularly on weekends when the place is packed. Otherwise they have a great wine list and bar if you’d rather enjoy a drink while you wait. We can highly recommend their authentic pizza. Homeward bound we decided to travel via the Bells Line of Road and stop for a “lunch with a view” at the Blue Mountains Botanic Garden, Mount Tomah. Click here for the official Blue Mountains tourism website. Jenolan Caves has a variety of ticket prices. 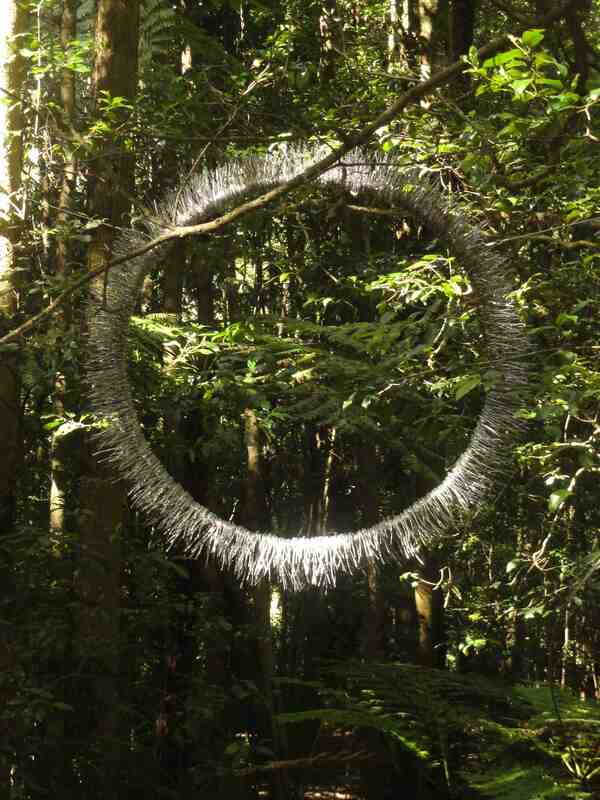 Information can be found on the Jenolan Caves website. 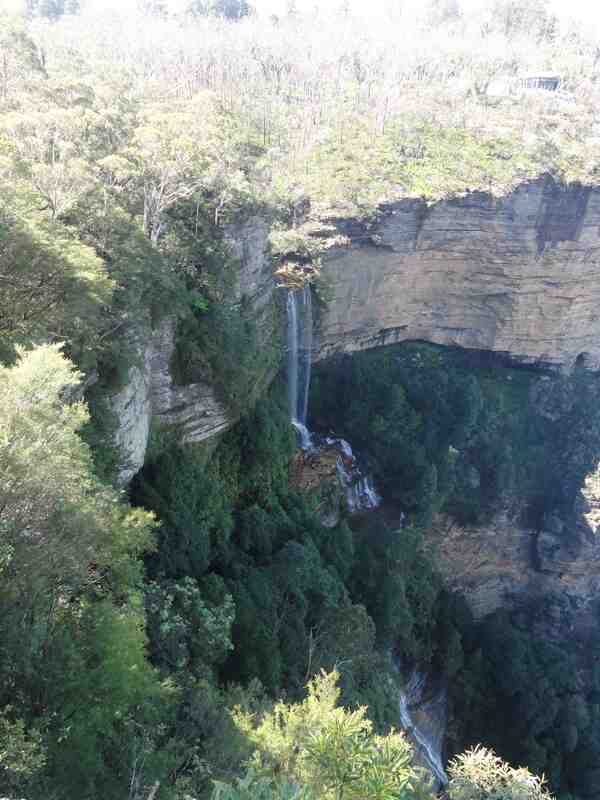 Read about the UNESCO World Heritage Site listing for the Blue Mountains by clicking here. 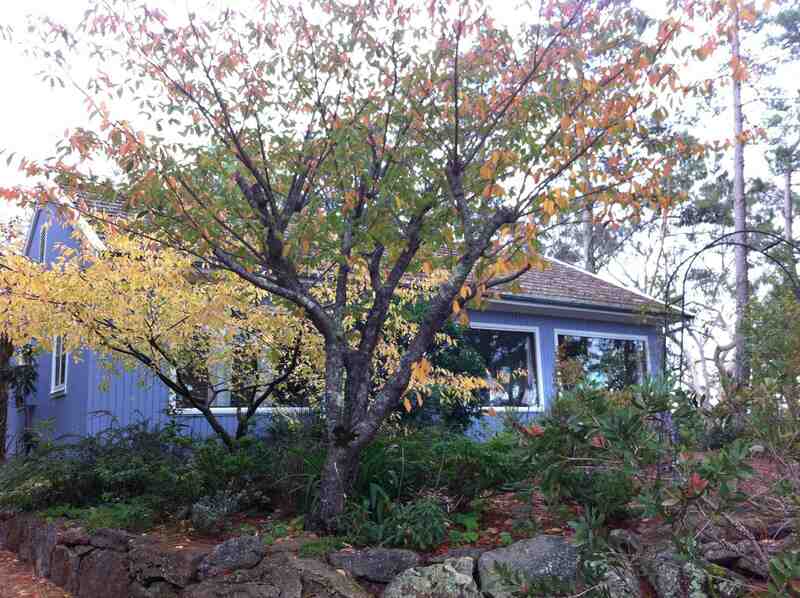 To book a cottage with Blue Mountains Getaways click here. Leura Garage is located at 84 Railway Parade, Leura. What a beautiful part of the world Louise. I love the mountains! Thanks Su. Yes it’s a lovely departure from modern, urban Sydney – and not so far away! Oh excellent! Will add all these to the list. And, guess what? We looked at that cottage, but it wasn’t available when we needed it.